Requests for special accommodations for food service usually come through the school nurse or the Child Study Team case manager. Food Service Director asks for a signed health care provider/doctor’s note/orders so that there are medical guidelines. This procedure carries over from year to year unless changes are provided to the Food Service Director. Regardless of the situation, the child is not to be charged an extra cost. Modifications (eg gluten free or thickened water and juice) are submitted for reimbursement in accordance with Bureau of Child Nutrition Guidelines. 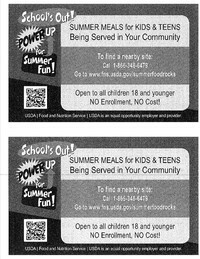 If there is difficulty in implementing the request, or the Food Service Director believes it should be denied, the Food Service Director should contact the School Business Administrator who will work with the applicable party (CST, School Nurse, Affirmative Action Officer) to ensure compliance with regulations. Don't let a stranger get your alert!!!! Please let the main office know of any telephone number changes. In the Newton Public Schools, we recognize the integral role you play in your child's education. We appreciate that you support our schools and reinforce a number of valuable messages for your children, such as responsibility, accountability, respect for rules, and regard for others. Each school has a Safety Team to review building-based procedures and address emergent issues as they occur. Each school's Safety Team conducted a security audit in January/February 2013 to make recommendations that will enhance school security. The district Safety and Security Plan is reviewed and revised annually to ensure prepared responses to emergency situations. Each school conducts monthly safety drills together with local emergency responders to practice safe evacuation, lockdown, and shelter in-place routines. Our school counselors, psychologists, and social workers have experience and training in dealing with tragic loss and recovery. We have strong relationships with community-based resources as well. TRS (Trust-Respect-Support) is our K-12 program for character education consisting of in-class and extracurricular experiences to promote the social-emotional development of all our students. Please feel free to call Dr. Greene, Superintendent of Schools, at 973-383-7392 or your school principal if you have any questions or concerns. Parents are the most important adults in helping their children to feel safe away from home. The attached links and documents are resources to help parents enhance their child's safety at home as well. The attached documents are here to help parents establish a PowerSchool account to monitor their student's grades and attendance. 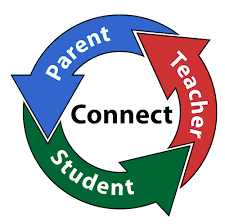 There is a short video available via YouTube on using the Parent and Student Portals. mLearning guides are digital books with interactive modules available as a free download through the iBooks bookstore. The mLearning Guide titled PowerSchool Student and Parent Portals is available free.